I have 14 Byron putters, turn around time range has been between 3 weeks (caught the shipment just right to platting) and 6 months. To all who are thinking of getting a Byron,,,, Bad experiences with Byron are very rare and if you search this site, you will only find a couple of negative experiences. I have one spec'd out from 2 months ago, but held on pulling the trigger because of threads like this. I have found more and more online lately. Not attacking Byron as I know myself being a small business owner we tell clients a completion date but as in life sh*t happens and it can cause delays. *though they should of noted the finish will cause delays....! 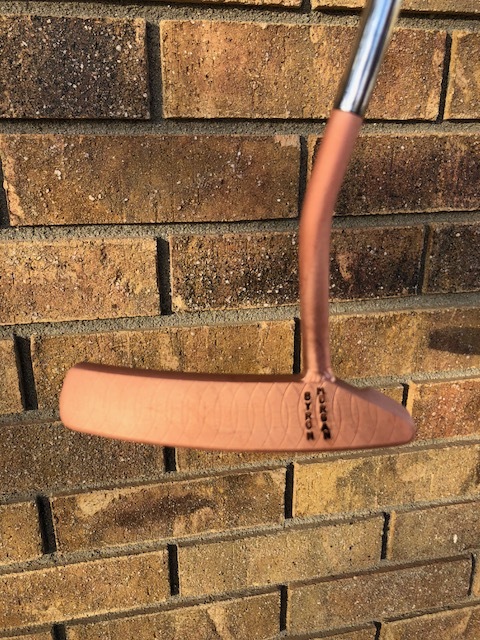 I will say the "rep" I spoke with....well he gave the "impression" over the phone to the term "used car salesman"
With all the other custom putter manufacturers out there, you can find a great putter if you are nervous. I was shocked to read this thread as I wanted a Byron badly. Now I am looking elsewhere. I've heard good things about Lajosi, but I'll be sticking with my favorite from now on - Bettinardi. 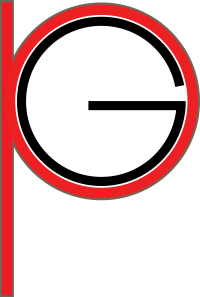 Semi-local and love their designs and service. Been following this thread since the beginning and get heartburn bc its the same **** I dealt with when I ordered mine. Wrong mill, shaping, stamping, finish. I'm sorry OP. People got feathers ruffled when I said I was displeased with the service I didn't get - only to have it be verified numerous times. Stick w bettinardi, or piretti for customs. Just placed my order. I had a great experience with the Rep. He was very honest about the lead times for my particular finish and head. I ordered a 612 carbon with the blue oil. 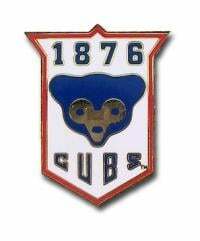 If i did standard oil can the turnaround would be weeks longer. The blue oil should be right at the 8-10 week mark if all goes well. Hoping to have it in hand mid September! 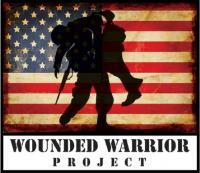 Looking forward to sharing it will everyone when the time comes. My rep is streaky and tough to communicate with. I’ve already decided that if It arrives different from how I ordered, then I’m just going to send it back for a refund. Same goes if the quoted timetable runs more than 2 weeks longer than promised. The price is too steep and the market is too competitive to have to deal with all of this nonsense. It’s just a putter after all. My rep is streaky and tough to communicate with. I've already decided that if It arrives different from how I ordered, then I'm just going to send it back for a refund. Same goes if the quoted timetable runs more than 2 weeks longer than promised. The price is too steep and the market is too competitive to have to deal with all of this nonsense. 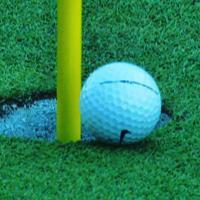 It's just a putter after all. 2 weeks longer than promised? 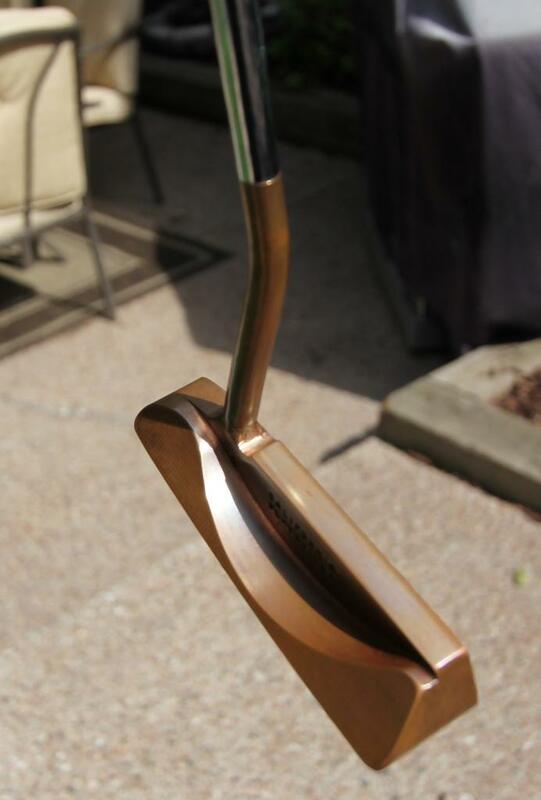 Is this your first custom putter? /laugh.png' class='bbc_emoticon' alt=' ' /> Good luck getting a full refund from any putter maker if they are 2 weeks past due date. I ordered a putter from Byron about two months ago. This is my first custom putter (I’ve been gaming the same Nike 006 for 5 years). I ordered a Byron because of the great things I’ve heard about his communication. However, I was not given a quoted time, even though I repeatedly asked for one. I have even followed up with multiple emails to both the rep and Byron himself with no response from either of them. 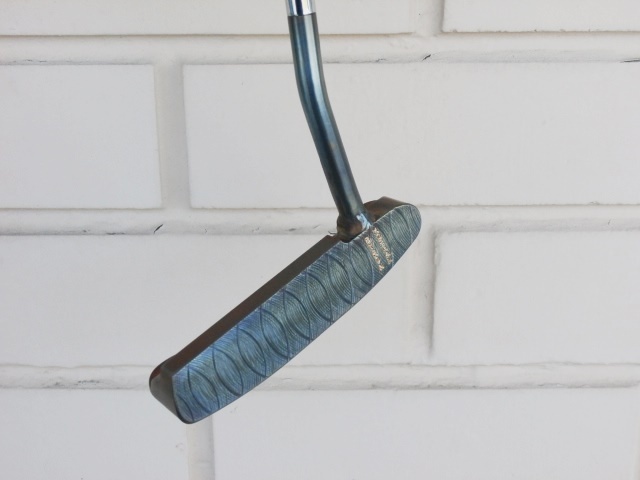 I figured the putter would take around two months (it has a tour satin finish and minimal stamping), but the lack of communication and not getting any responses to my emails has been frustrating. Your input has been invaluable. Thanks for your contribution. Best of luck with your refund demands. My CC company will handle that. Your best wishes are greatly appreciated. Please continue your meaningful work and stewardship here. And please continue your passive aggressive smugness. I'm sure your credit card company will take care of you. In my experience, going direct through Byron is the way to go vs. the reps, but it's no guarantee everything will be perfect. I've had little imperfections with half of the putters I've ordered. The first one I ever ordered was an 006 - when I got it it had a sight dot on the topline instead of a sightline on the flange. 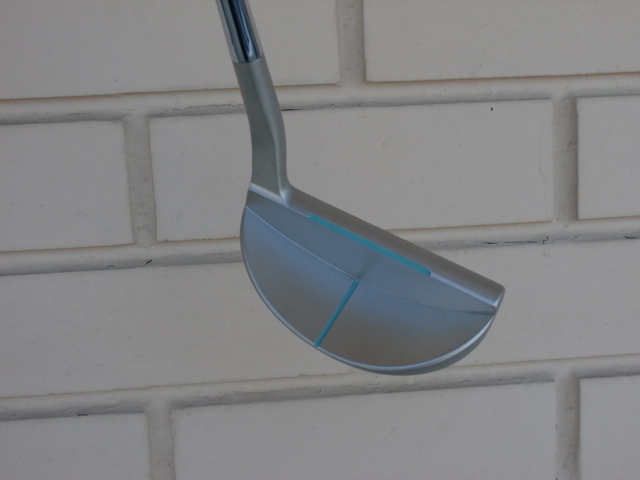 I actually liked it better that way in the end and kept it, and prefer that on my putters now. I've had sloppy paintfill on a few, mostly because they were painted right before shipping and the paint bled a little - no big deal. I've had long wait times (6 months or so) and short wait times (a month). In my opinion, these are not "little imperfections". Sight dot vs. sight line is MAJOR to most people. 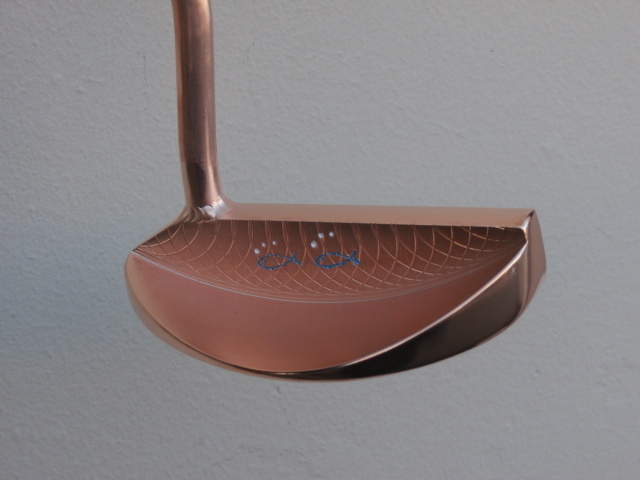 Add sloppy paint fill (which is the easiest part of the process to get right), and it does not add up to the expectations of a $1,000 putter. To be fair, the dot vs. line was on my very first custom putter (this was >10 years ago), and I only picked a sight line because it was on every putter I'd had previously - it wasn't a strong preference. After that, I've had a dot on every putter I've ordered, so Byron did me a favor. 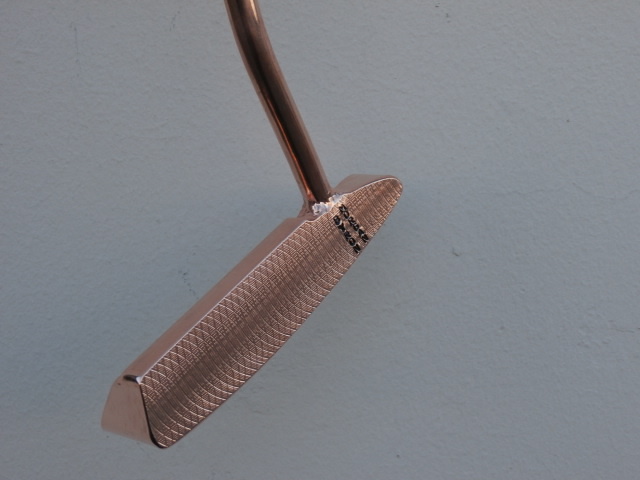 /laugh.png' class='bbc_emoticon' alt=' ' /> And the putter in question was "only" $400 or so at the time. You have to remember that there weren't a ton of options for custom putter makers with a LH Anser-style in 2007. Not making excuses for the work, but I just wasn't that picky back then and I was happy to have such a well-made putter - and that putter was fantastic and I still regret selling it. And paintfill doesn't really bother me - the couple of times it happened it was an easy clean-up with some acetone. Ymmv. I suppose I am one of the lucky ones. Every Byron Morgan putter I have ordered as custom has been made exactly as I wanted .... down to every stamping and how I wanted it. Of course I keep my stamping minimal so maybe that is part of the success rate I have experienced. 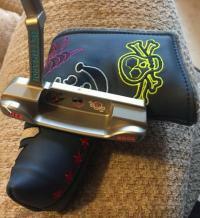 Here are my Epic Day and B-17 putters. I ordered a DaKine putter as well with the same Byron Morgan script in the front and a couple of Tuna Fish on the back for the tuna milling and nothing on the sole of that one. My DH89 GSS only had the vertical Byron Morgan script on the face. Maybe keeping mine simple with no alignment markings helps but every stamping I had done is exactly what Byron and I had discussed. I got lucky too, but I was meticulous with my order, completely hand drawn out, well with several schematics labeled thoroughly to avoid any confusion. I even included a picture of the milling I wanted. Edit: Feel free, anyone, to use this template if you want, I don't mind at all. I put my name in BOLD at the top where it says "Oil-can DH89"(didn't feel like putting my name out there online), to make sure he knew which order it was. I provided similarly detailed instructions on mine. 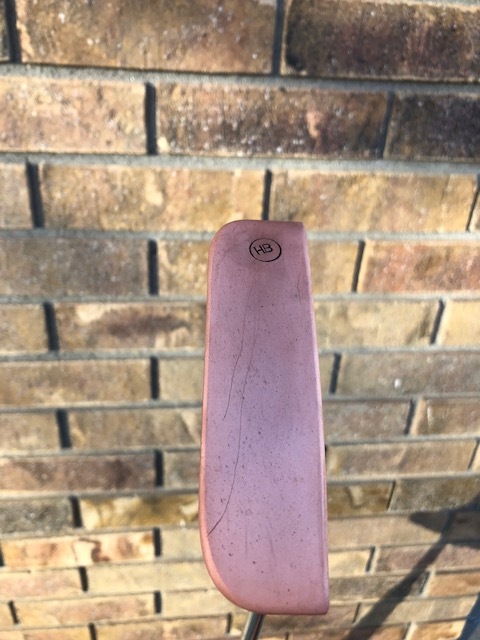 I requested a very specific initial stamping (CL with the L below and right of the C so that the vertical line of then L flowed into the end of the bottom curve of the C....that is how I initial things) and a Circle HB stamp on the sole that reads as vertical at the putters natural toe hang position. Byron nailed both of those requests to perfection. Ordered 2. Only dealt with Byron via email. 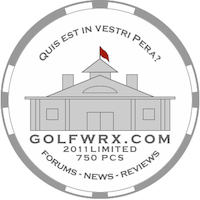 Never any issues, both putters arrived before the estimated date. Sounds like most of the problems revolve around the reps.
that's awesome detail. Quick question, but why did you want a Byron to look like a Cameron? Just curious. Whether A.Princey's putter looks like whom ever's who cares. This just might be a look he likes. 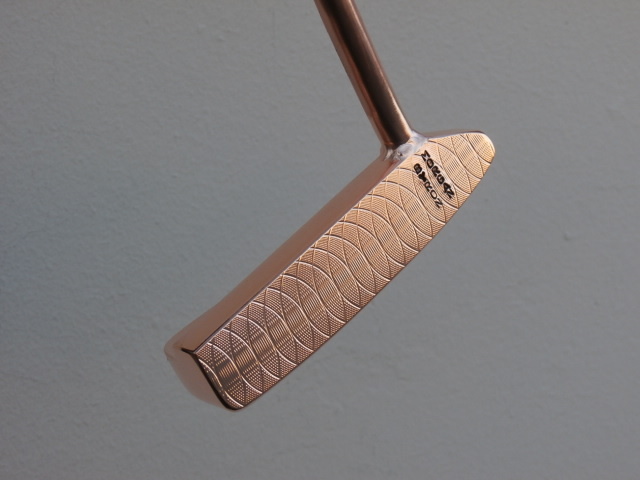 Of course A.Princey could have ordered a custom stamped 009 putter how he wants it in carbon steel and, if able to order it (we all know custom stamped putters is like a Unicorn), he would have paid upwards to $8,000 for it assuming he could get the stampings he wants. Of course this isn't possible because the average Joe cannot get stampings he/she wants because this option is not available from the Studio. Just like a Unicorn .... not attainable. What A.Princey did was get a putter that is so close to a 009 that is as well balanced, as well designed, has as good of feel and will perform just as well for a significantly lower price. Best part is that his putter is completely customized to his specifications to EVERY iota. Instead of spending $5,000 - $8,000 on a putter this was less than $1,000 for a putter the designer had his hands on built to custom specs. I think this was a pretty great deal regardless of what the putter looks like. Just my 2 cents. I agree, its beautiful I am not being critical at all, I was just curious. Well, I didn't necessarily want it the same as a Cameron, but if you look at the majority of other designs, Byron or any other make, most copy the SC design cues just as much or more than my simple dot structure(tour dots, vertical face stamping on heel, 009 shape in general). Heck, I've seen some Byrons with the 3 big cherry bombs in the cavity. I'm going for a style similarity, not a copy. It does say Byron & Co after all, not Cam. Take a look at the original Daleheads. You'll see "Ping" on one bumper and "Anser" on the other with something in the cavity, so it's not necessarily Cameron's original idea either. 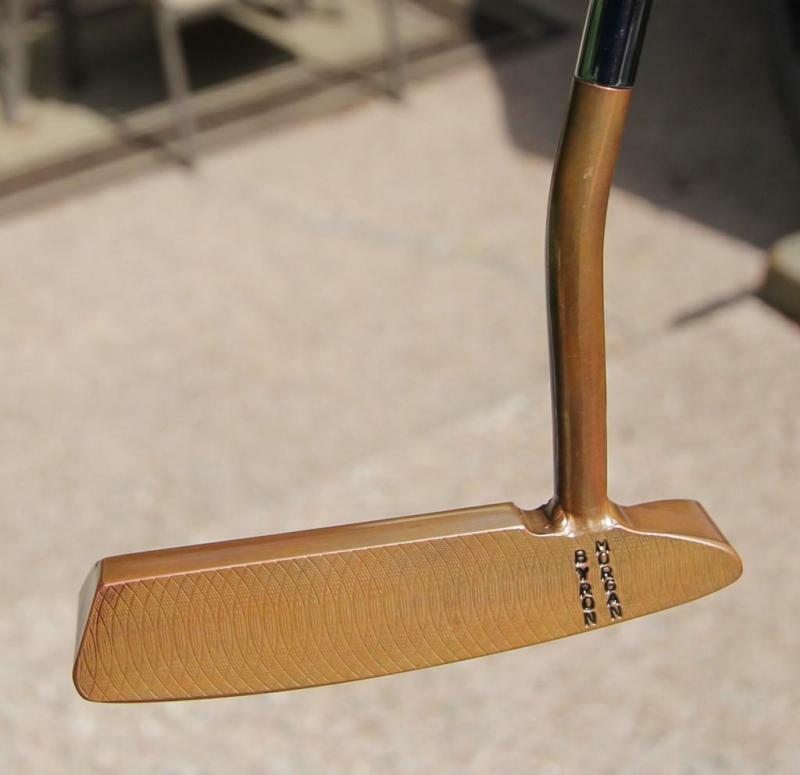 A lot of putter makers like to pay homage to the past, but update with their own touch. I know Byron has talked about this in regards to his DH89 design. 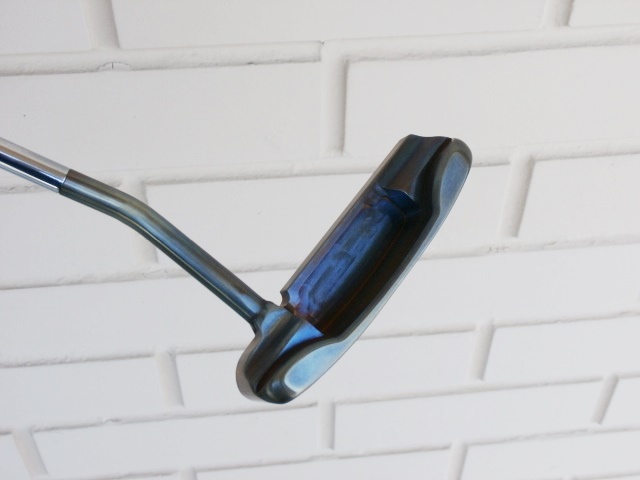 The putter in my avatar was inspired by Jordan Speith's putter because I like him as a player/person, not because it was a Cameron (and I am a Cameron fan). For some, it's worth customizing a Byron in a similar design for $700-ish rather than dropping $3500+ on the Cameron. Everybody's different. If I had $4200 burning a hole in my pocket, I'd buy both! Outstanding! 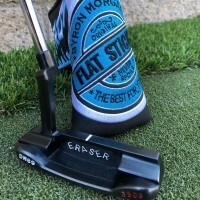 You won't regret ordering a Byron Morgan putter. Just make sure to diligently illustrate how you want your putter to come out like A.Princey did. His follow through was outstanding and a rule how all of us should do it. 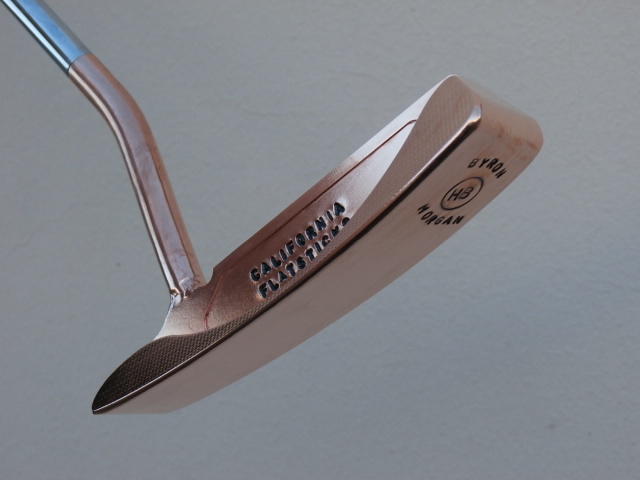 The putter is going to take some time to get made, stamped, painted and delivered. I never ask a delivery date because I am patient and realize Byron is a one man shop (Yes, I have been to his shop). He always has a slew of putters, with spec sheets on each one, in his shop in a queue waiting to be completed. I mean a SLEW of putters. He's incredibly busy so be patient! He puts the same love in every putter he makes. As I stated, I am very clear in what I want and I have a dialog with Byron before a putter is made as to what I want, whether by text or email or both. His email address is on the website. Communication is the key and once we are on the same page then he goes ahead and creates my putter. I can understand frustration when a time frame is agreed on and that date passes. With respects to his putter reps, send an email to Byron himself to start a dialog. It may take a few days for him to respond but he will respond. Again, patience. He doesn't have people working for him in his shop so we can be sure that Byron, himself, will have his talented hands on your putter crafting it to your specs. 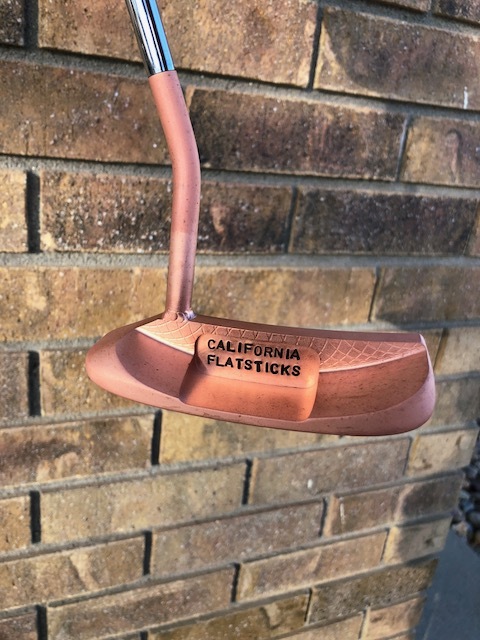 Epic Day long pipe neck, copper plated carbon steel. 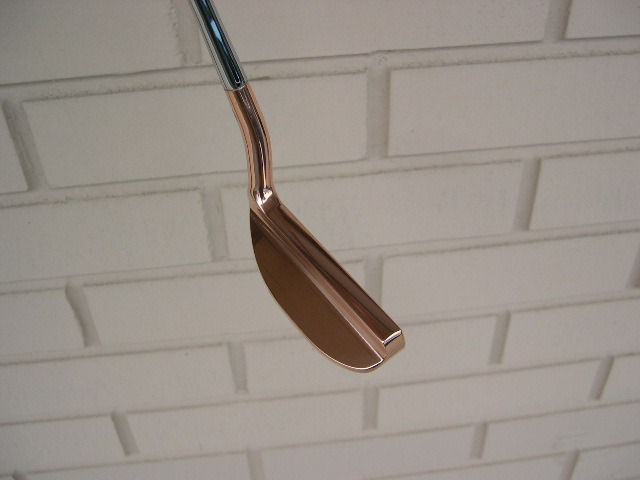 B-17 (new Bombora design) long pipe neck, misted copper plated carbon steel. 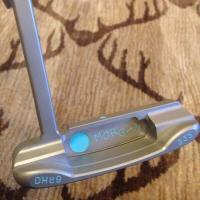 DH89 GSS long pipe neck. Finish is "Blue Oil" but it is a bit lighter than what these pictures show. Not sure if the GSS comes out a bit darker. DaKine "Pear shaped" with long pipe neck, copper plated carbon steel. These four were all custom ordered to my specs and my stamping preferences. These are my 6. 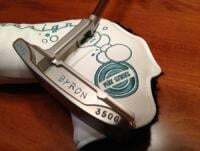 I would NEVER hesitate in ordering another putter from Byron. I love my Epic Day and cannot see this putter being replaced any time soon. 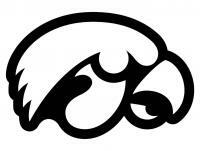 To me, it's simply perfect!!! Thanks! 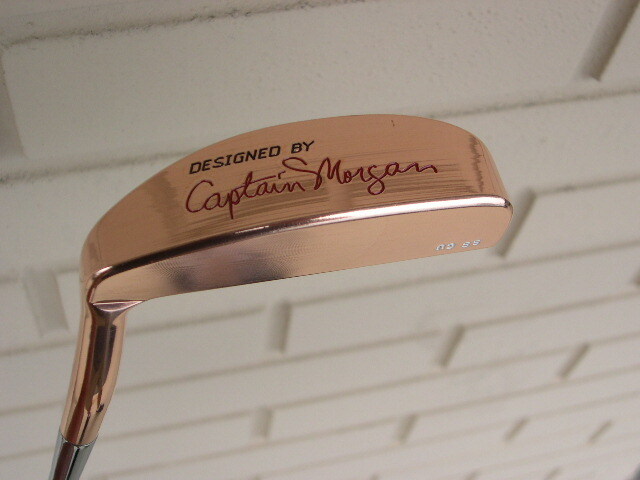 I have never gamed by Designed by Captain Morgan and it is in my display golf bag (Powerbilt bag for non MacGregor clubs). It has a bit of patina on it but still relatively unoxidized copper plating. Here is a picture of my Epic Day that has developed patina.